Another possibility to make a new type of memory device is discovered. 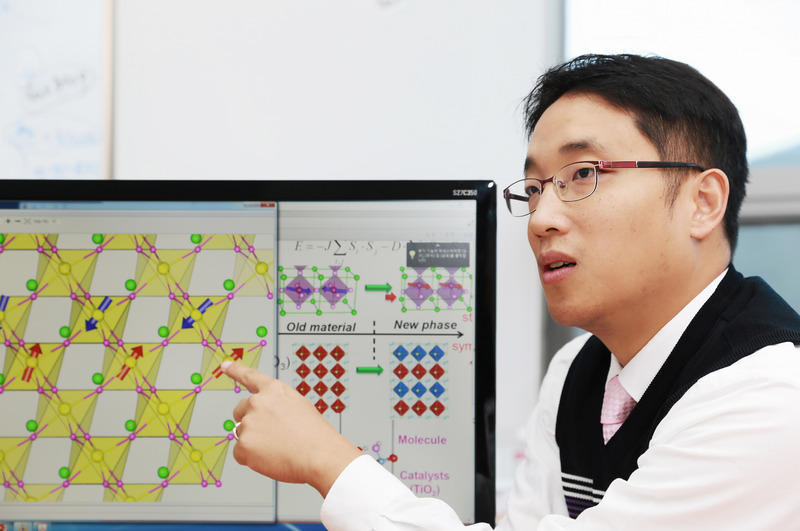 Prof. Jun Hee Lee found a theory of how multiferroic BiFeO₃ operates at room temperature. 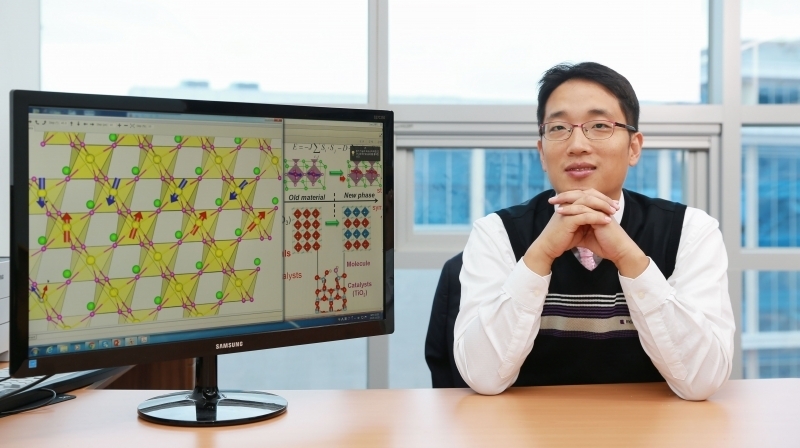 Prof. Jun Hee Lee (School of Energy and Chemical Engineering) found a fundamental theory of how multiferroic BiFeO₃ operates at room temperature. His study was introduced on Physical Review Letters on November 13, 2015. Multiferroic is the material that has more than two characters which are generally magnetism and ferroelectric. Magnetism is a class of physical phenomena that is operated by magnetic fields. A ferroelectric material (FE for short) is an electrical insulator whose electric dipole can be switched by an applied electric field. Making a memory device has been only possible by using either magnetism (MRAM) or FE (FeRAM), not both of them simultaneously. 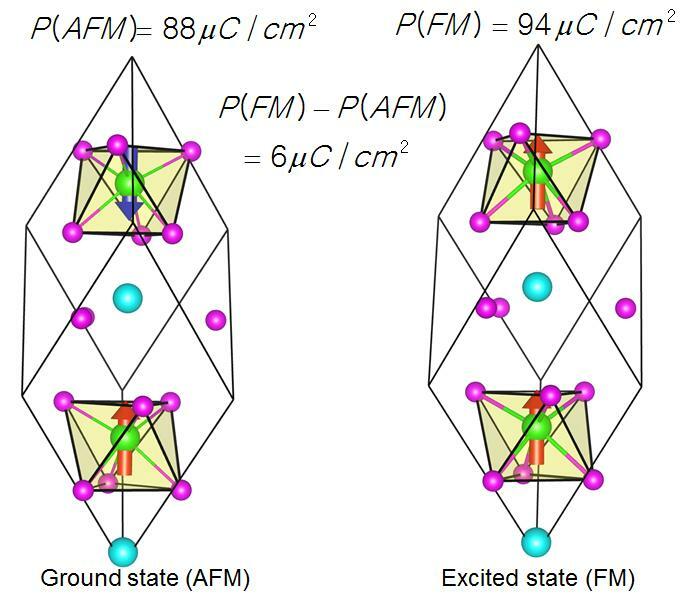 Multiferroic has positive novel factors since it can use both magnetism and electric voltage simultaneously. Besides the array of N and S magnetic poles, multiferroic materials also allow the storage of information by the array of positive and negative electric poles. And this multiple information increases the efficiency of storage and degree of accumulation. It is also possible to remarkably lower the power consumption for MRAM by using electric field instead of magnetic field, which reduces calorification. However, using multiferroic materials for memory devices and sensors was not simple since the general multiferroic materials only are activated at a very low temperature. Generally, magnetism and electric dipole do not influence each other that much, so applicability is very low. BiFeO₃is an unusual multiferroic material which works at room temperature, but the degree of influence between magnetism and FE has not been discovered before. Prof. Lee developed the theory that explains the principle of how spin relates to the electric dipole. Spin is the phenomenon that N Polar and S polar get switched when it is in the magnetic field. Electric dipole is the tendency of a charge distribution, like the electron cloud of an atom or molecule. He calculated how much spin affects on the electric dipole in multiferroic BiFeO₃. Comparison with the recent neutron scatterings reveals that the electric dipole induced by magnetism reaches ∼3.0 μC/cm2, which is larger than in any other multiferroic material. 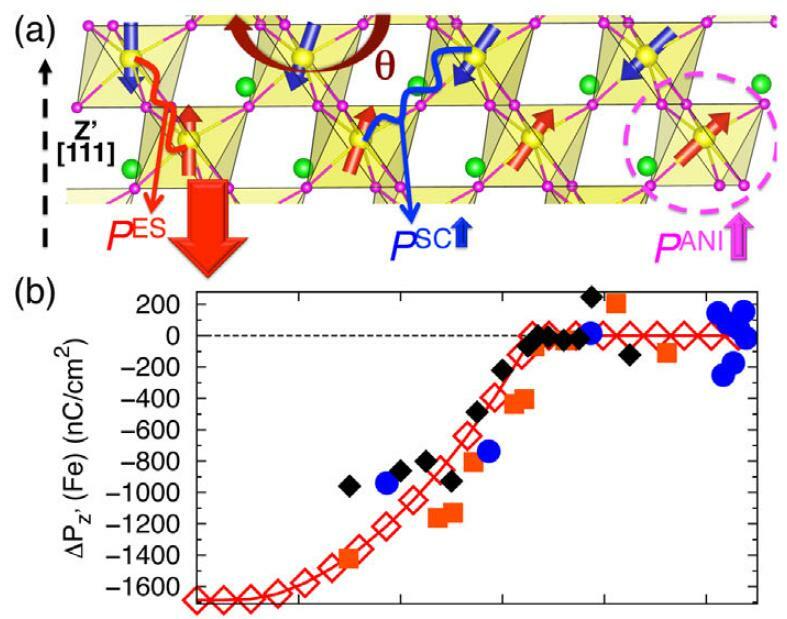 This also means that its’ stability of information storage is 10~1000 times stronger than other multiferroic materials.